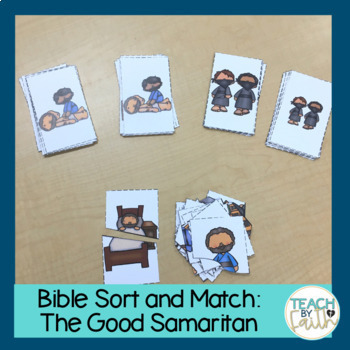 Help your child learn about the good Samaritan while practicing matching and sorting skills! 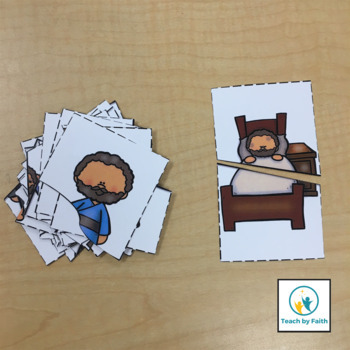 Bible Sort and Match includes a matching game, a big and little sort, and a puzzle piece game. 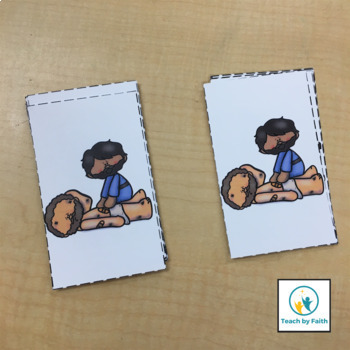 This sort and match focuses on the good Samaritan. Students will explore the days of creation while improving brain development. Children will improve concentration and will train visual memory. They will increase short term memory and will increase attention to detail. 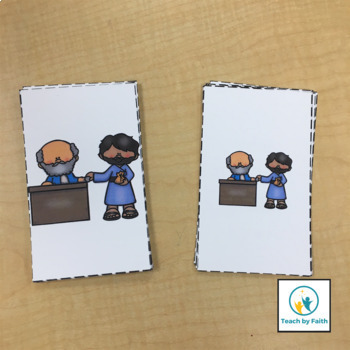 They will improve the ability to find similarities and differences in objects, will help to classify objects that are grouped by similar traits, and will improve vocabulary.